A stereotypical checkpoint that could be seen all across Europe. A highly detailed set that is sure to bring any WWII game to life. 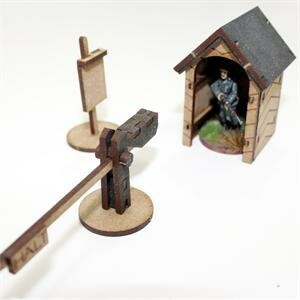 With a working barrier and signs, this is a great terrain piece for any gamer or modeller.